The world sat enthralled (well, mildly interested) as a computer participated on a TV game show, testing its powers of recall against those of two human competitors. IBM’s Watson wasn’t the biggest or fastest computer in the world at the time, but, for a week, it was the best known. Using a computer to look up facts may not seem like a big deal—a smartphone with a connection to Google and Wikipedia could do that—but Watson’s real breakthrough was in handling both the questions and the answers in English. (Although to be honest, Watson’s queries were delivered to it in text, not spoken by host Alex Trebek.) That made Watson a modern-day Eliza or Turing test. Apart from its funny accent and massively boxy appearance, it could have been any human player. As with so many things, it’s what’s on the inside that counts. Watson’s insides included hundreds of Power7 processors, high-end descendants of the more familiar PowerPC chips that used to be found in Macs. Watson’s star turn was a PR goldmine for IBM, and it was a nice reminder of how powerful and popular the Power architecture has become. Power often gets lost in the shuffle when people start mentioning processors. Intel is usually the name at the top of everyone’s list, with AMD perhaps a close second. Embedded designers usually think of ARM or MIPS. Microcontroller users dream in part numbers, like 8051, 6805, or 68000. Old workstation aficionados remember SPARC or Clipper or Alpha. Microchip’s PIC or Atmel’s AVR might make the top-ten list, but only if you’re actually using those parts. How many of us remember to think of Power? Yet Power, like ARM and MIPS, is a broadly licensed CPU family manufactured and supported by an assortment of big-name companies. It ranks third behind those other two in terms of overall sales volume, and it even beats ARM and MIPS in certain areas. And hey—it’s related to Watson. Oddly, there’s no official roster of Power licensees, and few people know the actual count. That’s because the Power architecture is owned by IBM, which controls the licensing rights, and IBM isn’t talking. We know of several Power partners: Freescale, AppliedMicro, LSI, Virage Logic, Xilinx, and, of course, IBM itself. But there are other “secret” Power licensees as well; companies that prefer to keep their allegiance confidential for competitive reasons. Power-based chips do really well in wireless and wired communications, thanks mostly to Freescale and its PowerQUICC and QorIQ product lines. AppliedMicro and LSI also have Power-based chips for this market. Market-research firm IMS ranks Power as the #1 embedded microprocessor in the world (ahead of x86, MIPS, and ARM) for both mobile and fixed communications. Power also ranks #1 worldwide for 32-bit automotive applications, #1 in 32-bit industrial, #1 in 32-bit medical applications, and #1 in 32-bit spacecraft controllers. 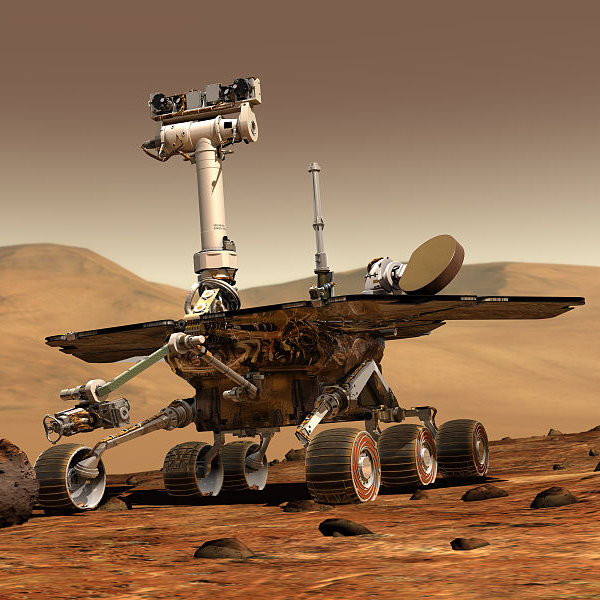 (The Power consortium likes to point out that Power is the only CPU family to be used on every single Mars lander.) The automotive stuff comes mainly through Ford, which has used Power-based chips in its engines and automatic transmissions for years. Back when Ford owned Jaguar, Land Rover, and Volvo, that added up to a lot of heavy metal with Power chips inside. BMW embeds a lot of Power chips, too. In all, IMS counted $4.4 billion worth of silicon based on the Power architecture in 2009 (the latest full year for which sales results are available). That’s a lot of CPU royalties. But the overall market was $64 billion that year, so only about 7% of that accrued to Power; the rest went to other CPU families. In that light, Power isn’t doing so well. Although it clearly dominates some markets (networking, for instance), Power also is just as clearly absent from others. Mobile devices are almost always based on ARM processors, and that’s the segment that has been growing most rapidly. Every other CPU licensee or manufacturer from Intel on down has been eyeing the mobile market hungrily, but ARM shows no signs of releasing its death grip on that segment. And, as with PCs, once the de facto standard CPU architecture is decided, there’s no displacing it. ASICs and ASSPs are another area where Power is weak, falling to third place behind both ARM and MIPS. That’s partly because Power is not as widely licensed as those other two, and also because it’s a bit more complicated to use. MIPS, and especially ARM, overwhelm Power in the sheer number of licensees using the architecture, so naturally there are more ASICs and ASSPs based on those designs. And because so many ARM-based chips are bound for mobile or consumer devices, they tend to be produced in large quantities. Power-based chips, on the other hand, are often intended for enterprise-level networking gear, a lucrative but comparatively low-volume market. Power may be Number One in several categories, but not in the ones that make the cash register ring. That leaves Power a bit under-funded compared to ARM (and even MIPS) when it comes to developing new generations of the CPU. There isn’t nearly as much royalty revenue flowing back to IBM as there is back to ARM, so there’s less cash to invest in next-generation CPU cores. On the other hand, Power is owned (and largely controlled) by IBM—and IBM doesn’t need the money. The Power architecture is one of IBM’s crown jewels, and it will have escaped no one’s attention that IBM has other business interests besides just licensing its CPU architecture. In short, IBM can (and does) fund Power development all on its own, for its own purposes. The licensing fees and royalties are a nice bonus, but they’re not Power’s lifeline. There’s no danger of IBM running out of money the way a standalone IP-licensing firm might. In the meantime, IBM and its merry band of licensees are planning their first Power Architecture Conference in Shenzhen, China on September 1. Among the festivities will be a coming-out party for at least two new Power licensees, technical white papers celebrating 20 years of Power development (has it been that long? ), and sessions on upcoming changes to the architecture. Who knows, maybe even Watson will attend.